Although they are just an infant as a company, The Baby's Journey Team has over 15 years of history working together in the juvenile industry. They've estimated close to 20,000 diaper changes between them and as a result, they can relate to what parents go through every day. Everyone on the team brings his or her own super powers to help them create the most innovative baby products imaginable. Behind their management team there is a strong group of talented and knowledgeable employees and creative resources, all committed to developing insightful and unique parenting solutions. 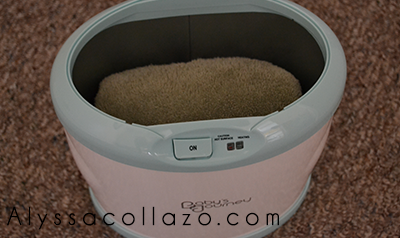 With that being said, I had the opportunity to review their Comfy Cozy Tub & Towel Warmer. My favorite thing about this Tub set is the Towel Warmer! It warms full-sized towels in 10 minutes. Yes I use it for my towels, haha! It also safely warms hooded towels, onesies, and blankets. By the time you’re done washing up your little one you’ll have a perfectly toasty warm towel waiting. Pretty cool, right? 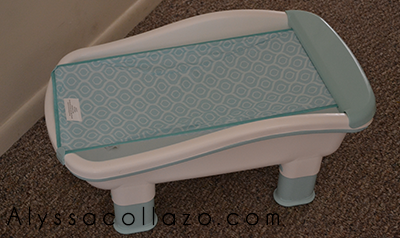 The tub is by far the best baby tub I've ever used!! I especially love the adjust height for easy reach! The patented Roller-Sling is perfect for infants, it cradles and supports or retract and remove it to make more room for active toddlers. This deluxe set comes in two styles Frog & Lily Pad or Peacock Toss and it makes the ideal baby shower gift! Baby's Journey is giving one of my lucky followers the chance to win their Always Ready Changing Center. Baby’s Journey Giveaway: One (1) winner will receive: Baby's Journey Always Ready Changing Center. Ends 08.20.14. DISCLAIMER: All products received are complimentary for testing purposes from Baby's Journey. All opinions stated are my own and are not influenced by any affiliates. I love the babysitter product they have. How convienient! Warm towels! Yes please. I would use this for our face clothes. This is awesome! Just found out my sister is expecting again! I love the towel warmer. That would be awesome for winter too! 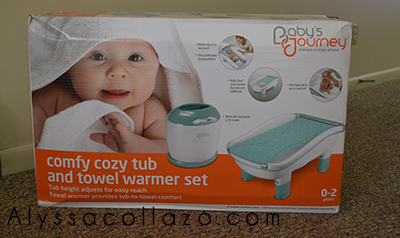 Such awesome items... especially love the little Magic Play tray set & the towel warmer is genius! Thanks for the sweet giveaway!! That towel warmer seems really awesome, and I would totally use it for our full-sized towels too. No shame! Who doesn't love fresh warm towels!? That traveling High chair looks pretty cool! Those sound amazing for caregiver and the baby! I wish I had this when mine were really little! This would make the whole experience so much more comforting! This is a good product to have as a parent or caregiver. Wish I had one with my little ones. Great review! Always nice to have a warm toasty towel!! Awe! Love the towel warmer! i still enjoy a nice, fluffy warm towel. I love the towel warmer! Great idea! I like the Go Fish perfect height bath. I like the One Step Gate! What a great review. A towel warmer is such a great idea. I wish they had products like this when my kids were little. The traveling high chair... my daughter hates random high chairs. I love the concept of having a towel warmer for the winter months - will surely feel good against a baby's skin. I visited the site and I like the SaniLite™ UV Hand Held Sanitizer found under Travel Accessories. I like the gate that blends in with your decor. I love the towel warmer feature! Thanks for the awesome giveaway! I love their baby gates. I don't have children, but these look like great gift ideas for expectant moms. Thanks for sharing. I love the one touch gate.